There are few things more important that oral health and the appearance of your smile. Dr. Safadi and his team at Angel Smiles Dental know that. Within the walls of the office, you will find all of the maintenance measures and treatment options available to take care of the dental needs of every member of your family. Teeth whitening, fast braces, veneers, and dental bonding are just a few ways Dr. Safadi and his team can improve the appearance of your smile. And not to worry if you require some restoration before the work can take place. 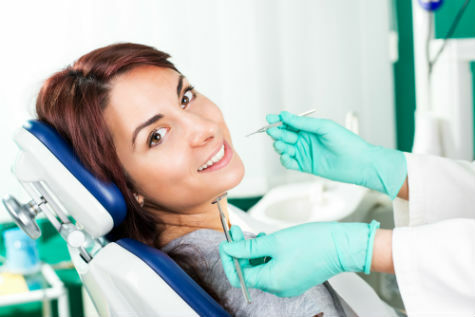 Gum disease treatment and oral surgery are options for those who need restorative treatment before the important business of smile improvement is considered. Speaking of restoring smiles, Angel Smiles Dental offers treatment plans that not only restore smiles, but improves overall dental health, including protecting jaw bone health and density with custom created dental implants, dentures, and dental bridges. Root canals are commonly performed when the tooth can be saved. Some patients require special care. For this reason, Dr. Safadi helps his littlest patients with high quality pediatric dental care. Additionally, typically older patients are likely to benefit from the available sleep apnea treatment plans. Treating this disorder with dental assistance has proven to be an effective method in the overall treatment. For full service dental care, in a hometown, friendly office, Dr. Safadi and the staff at Angel Smiles Dental is the perfect choice for Crown Point and the surrounding communities. Take the time to call and schedule an appointment to learn more about what they can do for you.